The Community Environmental Legal Defense Fund (CELDF) is taking its “rights of nature” ploy to another level as it manipulates the system it would destroy. You have to give the silly anti-fossil fuel nutters one thing – they sure are creative. The latest nonsense to come from the extreme left is that artificial constructs like watersheds now have “rights” and can somehow speak for itself. At least that’s what’s being claimed in a “first of its kind” motion by, yes, the Little Mahoning Watershed (Indiana County, PA). We wonder, what does the Watershed’s voice sound like? And where, precisely, did the watershed scribble down its statement that was recently delivered to the court? We’d like to see that place and behold that miracle. This would all be rolling-on-the-floor funny if extremists weren’t so hellbent on bastardizing our laws and the U.S. Constitution – to the point our legal system becomes meaningless. The Community Environmental Legal Defense Fund (CELDF), which hangs its hat in Mercersburg, PA, says Little Mahoning Watershed spoke to it and whispered it doesn’t want to be polluted by nasty frack wastewater. Today, for the first time, an ecosystem in the United States filed a motion to intervene in a lawsuit to defend its own rights to exist and flourish. Rights of the Little Mahoning Watershed were secured in law by Grant Township (Indiana County, PA) in June. The Grant Township Supervisors enacted a Community Bill of Rights ordinance, establishing the rights of human and natural communities to water and a healthy environment – including the rights of ecosystems to exist and flourish – and bans frack wastewater injection wells as a violation of those rights. PGE sued Grant Township in August, followed by a unanimous vote of the Grant Township Supervisors to defend their Community Bill of Rights ordinance, and to retain the Community Environmental Legal Defense Fund (CELDF) as legal counsel to defend the ordinance. 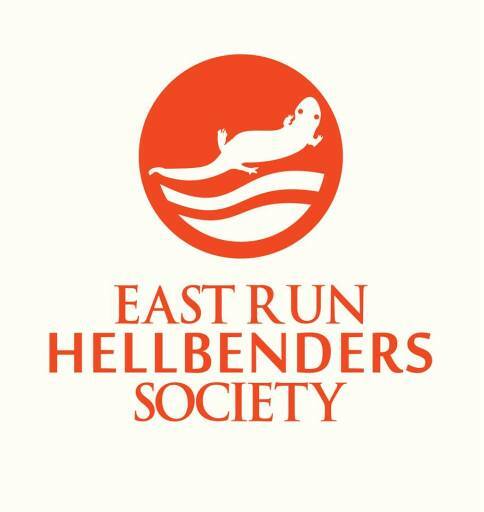 The Little Mahoning Watershed is joining with the East Run Hellbenders Society in filing the motion to intervene. The Hellbenders – a local grassroots group – participated in the drafting of the ordinance. Since 2006, communities in Pennsylvania and around the country have recognized the rights of ecosystems and natural communities in law with the support of the Community Environmental Legal Defense Fund (CELDF). Through grassroots organizing and public interest law, CELDF works with communities across the country to establish Community Rights to democratic, local self-governance and sustainability. CELDF has assisted nearly 200 communities to ban shale gas drilling and fracking, factory farming, water privatization, and other threats, and eliminate corporate “rights” when they violate community and nature’s rights. This includes assisting the first communities in the U.S. to establish the rights of nature in law – as well as assisted Ecuador to draft rights of nature provisions for its constitution in 2008 – as well as the first communities to elevate the rights of communities above the “rights” of corporations. 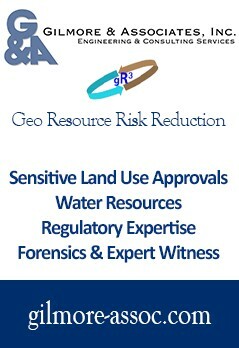 So how, exactly, will the Little Mahoning Watershed be cross-examined by PGE attorneys? Will the CELDF bring in a big jar of Little Mahoning Watershed water and sit it on the witness stand so it can be sworn in and asked questions about its motion to intervene? What utter stupidity. We certainly hope the judge in the case admonishes the CELDF for this farce. Editor’s Note: We have written about the CELDF numerous times here at NaturalGasNOW – most recently here. It a freaky extreme radical group that has zero credibility in the real world and loses wherever its legal theories are tested in court. Nonetheless, it keeps attracting the attention of gullible local officials in communities where fractivists and others have intimidated them into doing something, with offers of free legal help worth exactly what it costs. The CELDF is run by an egotistic guy by the name of Thomas Linzey (who’s never done anything else worth noting) and is funded by the Park Foundation and Wallace Genetic Foundation, among several other far left progressive groups. It also collects laundered money through the Tide Foundation and the Schwab Charitable Fund, for example, which allow donors to finance radical activity without specifically lending their names to it. It operates as a tax-exempt corporation, despite the fact the entire focus of the group is anti-corporate to the max. Linzey also wants to “jettison” our US Constitution (15:51 in video below, which reveals his radical perspective). Linzey likes to refer to himself as a “champion of democracy” but, of course, is anti-democratic to the core, as the Youngstown experience, where his minions refuse to accept the verdict of democracy, demonstrates. Corporations, moreover, are simply one of the many ways human beings work together and, yes, they have rights for that very reason. Linzey, though, is a committed statist, a totalitarian at heart who wants to give “rights” to watersheds so he can speak for them and thwart the democratic will. PGE’s proposal may or may not be a worthy one, but its lawsuit against Grant Township is, as Jim notes, as righteous as can be. It’s a case of standing up to little wanna-be dictators like Thomas Linzey accustomed to using the language of democracy to smother it. More Water melon money in action aye Jim? It’s time to give marijuana a voice and prohibit the CELDF from smoking it.